Holy Family Catholic Primary School belongs to the Holy Family Parish in Karama. Fr. Felimon Libot is our Parish Priest. 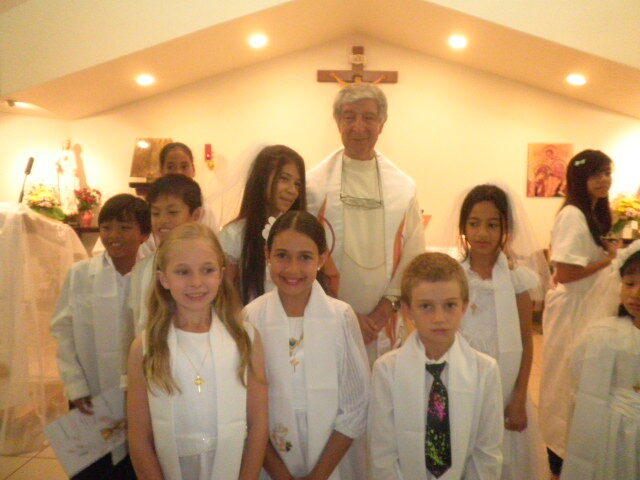 Fr Felimon leads the whole school masses that occur throughout the year and he visits the school regularly. 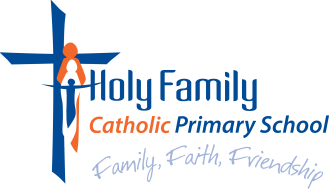 Religious Education has a central focus at Holy Family Catholic Primary School. Christianity permeates all areas of education; not only through Religious Education, but also through the way we support, teach and demonstrate Catholic traditions, teachings and values. It is in the way that we relate to our students – through positive reinforcement, compassion, respecting the individual, and celebrating our differences – that we engage and challenge our children in the Catholic Faith. Journey in Faith is the Religious Education program for Transition to Year 10 in Catholic schools in the Northern Territory. Based on the South Australian Religious Education Framework, Journey in Faith develops 12 Key Ideas, each one focusing on an aspect of Church teachings. In their learning through this program students will come into contact with a Church that believes, celebrates and lives. Journey in Faith has been written to speak to the young people of our Diocese. It presents the teachings of the Church in a clear, systematic way, using the methodologies and principles of education available to us now. Drawing on the sources of our faith; creation, scripture, tradition and human experience, ‘Journey in Faith’ provides a way of seeing the world, of acting in it and of responding to it, all drawn from the simple reality of our faith: God loves us and calls us to life in full abundance. The teaching and learning activities reflect a deliberate desire to promote deep thinking in students. Engagement and challenge are our intention. Incorporated into our units and integrated across the curriculum are strands from the human sexuality program, Made in the Image of God (MITIOG). The inclusion of MITIOG activities means the complexities of relationships today are addressed through the lens of faith. Made in the Image of God (MITIOG) is the official program for sexuality education in Northern Territory Catholic Schools. It incorporates a sequential curriculum firmly based on Catholic moral teaching. The curriculum is organised into four strands which explore essential aspects of the human person. · Being Human - This strand aims to affirm the value and dignity of human life and to promote reverence for self, others and the whole of creation. · Being Connected - This strand aims to explore the human vocation to love God and neighbour and to develop an appreciation of the interdependence of humanity. · Being Sexual – This strand aims to explore the spiritual, physical, moral and psychological dimensions of human sexuality and to develop an appreciation of Catholic Church teaching regarding sexuality. · Being Moral - This strand aims to develop an understanding of what it is to be moral and to encourage responsible decision making by exploring the processes of Christian decision making. The strands of Being Human, Being Connected and Being Moral are integrated within the Religious Education program, Journey in Faith. The Being Sexual strand is taught as a “stand alone” unit. As students progress, they are presented with an integrated course that gives emphasis to age appropriate issues and information. Making Jesus Real, commonly known as MJR is a religious education program that is aimed at helping students gain and maintain a positive attitude to life through assisting in the development of people and life skills. The main aspect of MJR is the Risen Jesus, who is amongst us in our lives each day, with the people we come in contact with. This program is followed in upper primary classrooms, however the language and qualities that are derived from MJR are present and encouraged throughout the entire school. Throughout the year, Catholic students have the opportunity to make the sacraments of Reconciliation, First Communion and Confirmation. The parish, families and the school all work together to prepare candidates for these special sacraments.